The mission of PLANDEX® company is to deliver complex and innovative solutions in terms of truck bodyworks, production of trailers and semi-trailers. We are one of the biggest manufacturers of truck bodyworks in Poland. We have been present on the European market for over 28 years. We specialize in production of bodyworks: box, van, isothermal and refrigerator; trailers, semi-trailers, tarpaulins and advertising graphics. We are the leading manufacturers of truck bodyworks in Poland. We are continuously striving for the products of PLANDEX® brand to become the synonym of professionalism in the industry and to be associated with trust as well as reliable and professional service. 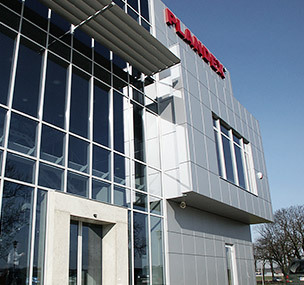 PLANDEX means most of all competent personnel and modern machine park supported by high standards of work organization. Essential element of our success is the complexity of services with the competences of our specialists (e.g. designers, constructors, project managers). They support the objectives of our customers for example by means of improving our products, introduction of innovation and continuous modernization of the technological back-up.